Samario's is an incredible place to take a date. I always describe it as a restaurant that Frank Sinatra would have eaten at. The food is superb, the portions are huge, and many of the menu items have a unique twist. I have tried both the Old Forge and Chicago Style pizzas and they are worth the trip! Kings is a casual, yet beautiful place to take a date. They serve delicious wood-fired pizza and a whole host of Italian dishes that your date will love. They also have a downstairs lounge that gives you the opportunity to get more comfortable. La Trattoria is a cool little Italian place which also offers excellent wood-fired pizza. The complimentary bread will get your date off to a great start, the service will get you into the groove, and the food is can't miss! Bazil is probably the most formal restaurant in our countdown, so make sure you put on a decent shirt before heading here. They have a full menu of flatbread pizzas to choose from, but the rest of the menu is where you will find some delicious Italian entrees. The martini bar seems to be a fan favorite and they frequently have live music to set the mood. For the modern, casual couple, I give you Colarusso's Coal Fired Pizza. This place is huge, and has a lot of space. The bar is expansive, and the pizza menu is fantastic. Do yourself a favor and order the baked chicken wings for you and your date while you wait for your pizza. You won't be sorry! 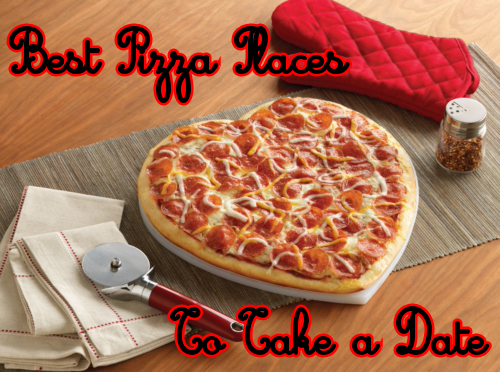 Also check out the Top 10 Gifts to Get for the Pizza Lover in Your Life! The name says it all! Pizza L'Oven is comfortable, clean, casual, and has great food. I fell in love with this place on my pizza review and I look forward to taking my girl there in the near future! Arcaro and Genell not only serves up delicious Old Forge Pizza, but their food is second to none as well. The reception area is recently remodeled, and the dining room is always a good place to kick back, enjoy a glass of wine, and have a conversation with your date. The dining areas are also newly rennovated so just another reason your hunny will love it! Frank's really surprised me when I visited because the name sort of led me to think it was a bar/pub, but when we got inside it was so much more than that. I actually went on a date here and it was a huge success. The food is superb, and if you like buffalo shrimp that isn't overly spicy, I recommend you order that here! It's been newly rennovated, so an even better reason to take your sweetie here. Sacco's is one of NEPA's best kept secrets in the sense that it has great pizza that no one seems to talk about, and that it's a really nice place to eat! Until Sacco's took over, there were several pizzerias in before it, and it seemed like each one remodeled and upgraded each time, bringing us to the lovely dining room that they now have. Grande has a new building which is open, fun, friendly, casual, and a place that I would definitely take a date. 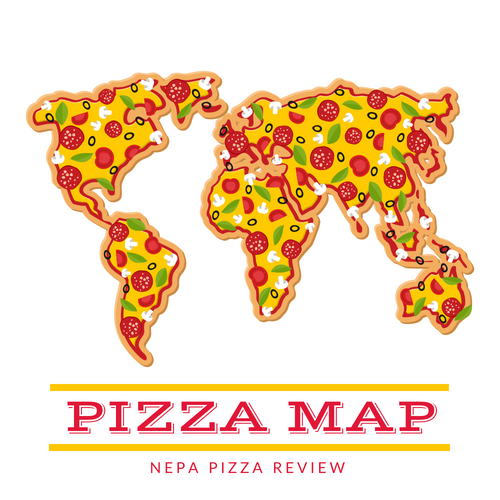 The pizza is excellent, and the food is good as well. I recommend you go on clam night to really get a bang for your buck! Nonno's is a relative newcomer to the NEPA Pizza Scene and a place that you can't afford to miss out on. The dining room is large and clean, there's a full bar, some private dining areas, and possibly the best patio in NEPA when the weather is good. The food is very good and prices are even better. You won't be sorry if you take your significant other here! This place is a cult classic and has fantastic food. I recommend a specialty pizza here or a stromboli if you are going the pizza route, but the dinners are first class and worth the price! The atmosphere is also great with a full bar and plenty of private areas for you to snuggle up with your lady or gent! You need to check out my review of this place to understand what it's like. From the pizza to the food to the drinks, your Valentine won't want to leave! This is the first lady's absolute favorite, and she is demanding that I take her here for Valentine's Day this year! Before Armenti's came into our lives, the first lady swore by Vincenzo's. They still have amazing pizza, and is a great place to go, but there's a new sheriff in town for her!